I’m happy to announce that I’ve been secretly working on an FS2Crew for the mighty FS Labs Airbus for the past several months. The project is currently about 90 percent done. It’s a very technically accurate crew simulation that follows Airbus procedures from the Airbus FCOM and FCTM as close to the letter as possible. This is very much a dedicated, professional level Airbus crew simulation. 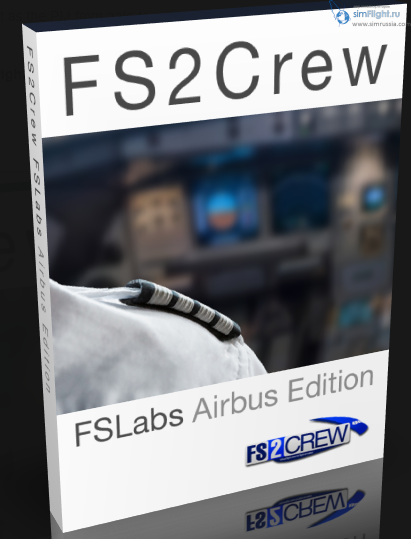 I’m especially excited about this version of FS2Crew because I completed an Airbus Type Rating last fall, and this is the first FS2Crew I’ve done where I have personal experience in the plane (albeit only on a Fixed Base and Level-D Sim 🙂 ). This of course makes it a lot better since I don’t have to rely on 3rd party consultants so much. In fact, although we can’t officially advertise this product as a device for real-world training, my goal with this FS2Crew was to actually create something I can use to help keep me current in the aircraft. Regarding SOPs, there’s only one (the official Airbus version), but I’m adding some airline specific callouts and checklist options you can choose from. For the SDK, I know that I’ve talked about the FSLabs before and said I wouldn’t touch it because there’s no official SDK for it. Well, using alternate methods I was able to deal with that issue. However, some of the buttons in the plane can only be controlled via simulated mouse clicks and control of the FCU heading, alt and speed values is restricted. But remember the Airbus Golden Rule -Use the appropriate level of automation at all times! So when you’re the Pilot Flying and the autopilot is on (which it should be for 99 percent of the flight unless you lose the autopilot), you would directly control the speed, heading and alt values in the FCU yourself. You wouldn’t ask the PM to do it. 1. You can now fly as the Pilot Monitoring, but only from Takeoff to Rollout on landing, which is not an unrealistic limitation as many airlines don’t allow their FO’s to taxi. It works quite well, but obviously it’s highly scripted and the plane has to be flown fully managed all the way with an autoland at the end. The virtual Pilot flying can’t respond to vectors, so the route has to be fully pre-programmed with no discontinuous. And you can only do an ILS. No Selected-Selected non-precision approaches or anything because the virtual PF can’t “see” the outside environment. But it’s pretty neat regardless and it’s an interesting experience. 2. For the first time ever in FS2Crew, you can fly from the right seat. There’s a new user option to tell FS2Crew which seat your in, and the simulation will account for that. My beat-up Airbus QRH… this is where your FS2Crew for the FS Labs is coming from! Отличная новость! Это то, что сдерживало меня от пользования ФС Лабовским эйрбасом (не считая довольно дохлого ПК).